This was pointed out by Normand, one of the many fans of the Altadena WeatherCam. 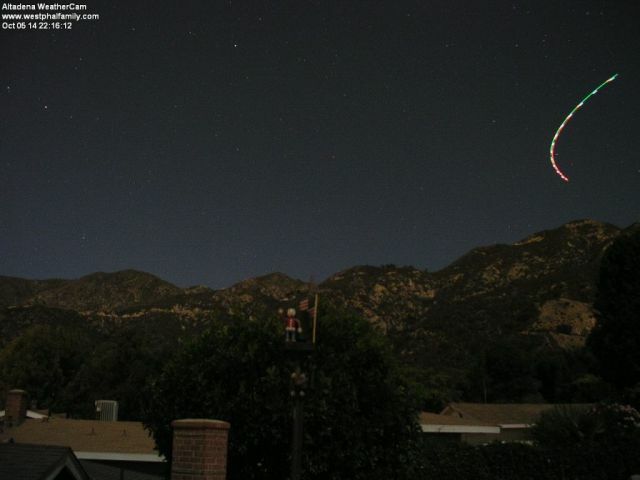 A nice shot of a helicopter circling over the San Gabriel's the other night. It was a Sunday evening so they were probably looking for a lost/overdue hiker. The Green and Red Navigation Lights cause the change in colors in the streak of light.